KANSAS CITY — The Penn State women’s soccer team opens the 2018 season ranked No. 4 in the nation, according to the United Soccer Coaches preseason poll. 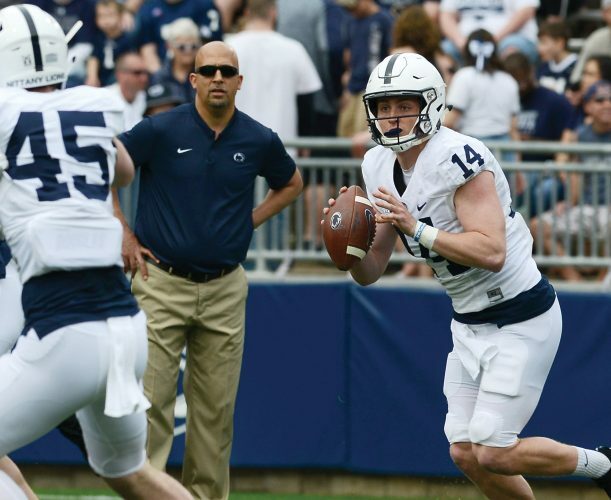 The Nittany Lions are slated to play five ranked teams during the 2018 campaign at home. The Stanford Cardinal, the defending NCAA champions, took the top spot in the poll with 34 first-place votes. The 2017 NCAA runner-up UCLA Bruins were selected at No. 2 followed by the Duke Blue Devils at No. 3 and South Carolina rounded out the top-five. n The Penn State women’s volleyball team opens the 2018 season as the No. 6 team in the nation according to the American Volleyball Coaches Association Preseason Poll that was announced on Wednesday afternoon. The Nittany Lions came in at No. 6 behind Stanford, Nebraska, Texas, Minnesota, and Kentucky. n The University of Pittsburgh volleyball team received its first national ranking in 26 years, sitting at No. 20 in the 2018 American Volleyball Coaches Association Division I Top 25 Preseason Poll Wednesday afternoon. Pitt garners the ranking after a successful 2017 season in which the Panthers won their first ACC Championship and reached the NCAA Tournament for the second consecutive year. The last time Pitt was ranked was 26 years ago in 1992. The Panthers began that season at No. 25 after concluding 1991 as Big East Regular Season and Tournament Champions. n Penn State senior Ally McHugh and her Team USA teammates will compete in the premier international swimming event of the year for American swimmers, the 2018 Pan Pacific Swimming Championships, Thursday-Sunday in the Tokyo Tatsumi International Swimming Center in Tokyo, Japan. n The Big Ten Conference and the Penn State women’s gymnastics program have announced that the historic Recreation Building on the University Park campus will host the 2019 Big Ten Women’s Gymnastics Championships on Saturday, March 23. This marks the fifth time Penn State has hosted the event, with the Nittany Lions finishing as the runner-up on three occasions in its home venue. Rec Hall has also served as the backdrop for the event in 1994, 2000, 2007 and 2014.